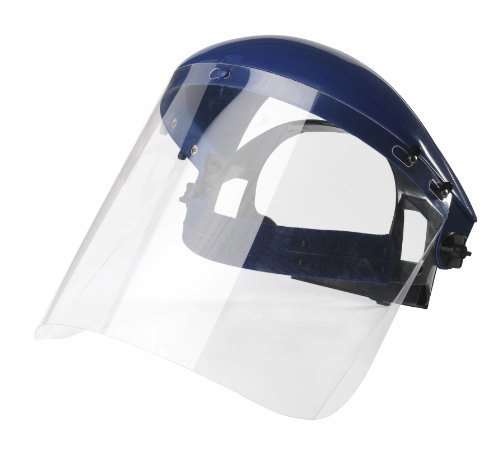 Lightweight browguard with combined polycarbonate visor. Ratchet headband adjustment for ease of fit. EN166 1B.